Since the perspective of millennials is providing different aspect to the projects, it is critical to carry the potentials of university students to business life. 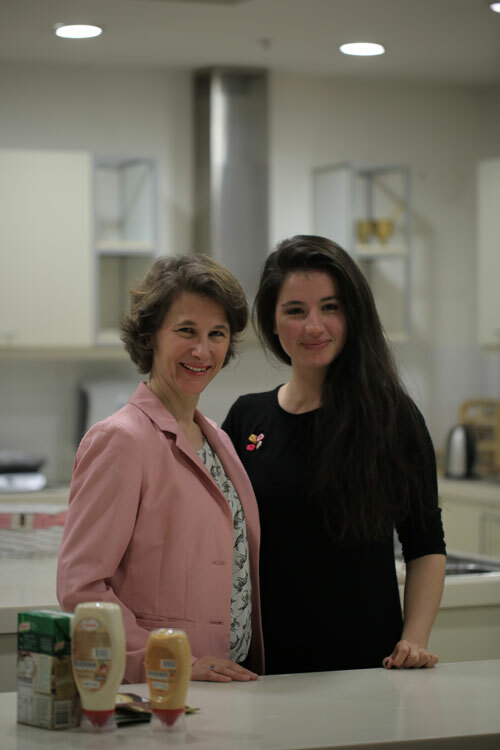 The main problem that the Reverse Mentoring Project focus on is the conflicts of generations. It aims to remove hierarchy, and encourage learning for both sides where traditional internship programs are sometimes not adequate. Reverse Mentoring carries the potential of university students to top level strategic projects. Working closely with business leaders, students get first-hand career advice on core competencies that they are not able to learn practically at university. Similarly for business leaders, they are exchanging ideas with students and building a bridge between their world and millennials. They understand how to make the business work with the help of millenials by adopting their insights into new ways of working. During and after the program, feedback and evaluations are taken both from Mentor students and Mentee Managers in digital. Digital form can be reached from this link. 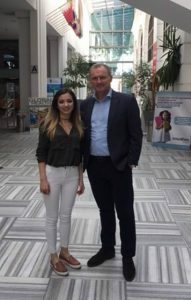 The Unilever-Bahcesehir University Reverse Mentoring Collaboration consists of millennial and expatriate reverse mentoring, collaboration on strategic business projects using ground breaking digital technology. This is helping to address youth unemployment in an innovative way. Since the perspective of millenials-Y generation is providing a multiple effect to future oriented projects, it is critical to carry the potential of university students to business life. There are 3 components of the project. 1) Expat Reverse Mentoring Programme is where expat business leaders come together with students, learn about millennials and local culture. 2) Reverse Mentoring through the Leaders Developing Leaders (LDL) digital platform assists business leaders and students to connect and create pairs of Mentors and Mentees. 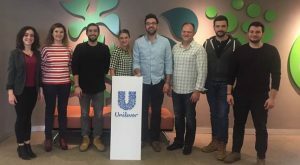 3) People Strategy Programme where students directly worked with the Unilever leadership team to shape the Unilever Turkey 2022 HR Strategy. This project is a university-business collaboration bringing multiple generations together: Millenial university students and Unilever leaders. Being global partners, having reached to a global scale has its own advantages and comforts, as well as challenges and differences especially in terms of education and culture. Equal educational opportunities should be taken into consideration in why youth are deemed “not likely to employ”. İt is not because they are lacking capability but lacking opportunity to improve themselves. As for the cultural difference, we have transformed this into an idiosyncratic deal. Accordingly, the project removes hierarchy, encourages learning for both sides where traditional internship programs are sometimes not adequate. Reverse Mentoring carries the potential of university students without hierarchy vertically to top level strategic projects. Youth unemployment is one of the world’s most challenging issues, lack of networking between the education and business world and inequality in education has led us to this project. Through this project, students have a chance to apply the principles they’ve learned in education into the real business world. Working closely with business leaders, students get first-hand career advice on core competencies (like leadership, management, strategy etc.) that they are not able to learn practically at university. Similarly for business leaders, they are exchanging ideas with the students and building a bridge between their world and millennials.They understand how to make the business work with the help of millenials by adopting their insights into new ways of working. Since classical educational tools were not seen as enough and satisfactory, this Project is augmented with a high-tech digital tool—the LDL platform. This project directly taps into the open talent economy and aims to create a great network which answers the needs of both education and business. For the first time, a private company is providing open access to its top 100 leaders to a university for joint capability building through a digital platform. Leaders and Students are left to make the connection directly with each other rather than a HR department making the connections. The tools of the project are the Unilever digital platform and seminars which enable the connection between students and leaders. The LDL platform, creates an experimental environment with its fast, user-friendly, online and fully digital platform. This project had never been applied nation wide before and is unique in terms of university-business collaboration. This project uses Unilever’s internal platforms and opens up the company’s resources to external users. Since it creates a mutual learning experience, all parties are willing to be a part of it for long term. The platform is fully digital and hierarchy-agnostic, encouraging everyone to engage anywhere, anytime. As stated above, the LDL platform allows both students and leaders to connect across various aspects. This creates networking and mutual learning opportunity between students and business world, bridging the gap between generations in our fast-paced world and facilitating employment opportunities in an innovative way. The technology is accessable both to business leaders and students allowing them to match directly for mentoring and allowing them to share their profiles, their skills and rate their mentor-mentee experiences. Platform functionality includes trending topics & coaches, earning badges, making it to the leaderboards and having a live newsfeed. İt gives a fun learning experience with Linkedin-like interface. Moreover, it is a new way of collaboration for both students and employee. İt builds up both the millennials and leaders’ skills by exchanging insights. A unique partnership between a large multinational company and the university is a big opportunity for students to reach out to company leaders and build their network. İt is an opportunity for leaders to understand millennials. Since the project creates a youth empowerment, it helps students to increase their self-confidence in business life. The LDL digital platform creates a bond between students and the business, helps to eliminate the effects of inequality in education and prepares youth for employment. A Reverse Mentoring Summit is organized for April for 350 participants from different companies to encourage them to also implement reverse mentoring in their businesses. Mentoring to Steven Gross about generation Y and being able to see his experiences one to one is non replacable. As a millenial university student, I did not only have the opportunity of exchanging ideas but also have reached the information of what Mentees expect from us. Through this program, I have developed an amazing network. This project has provided me unique opportunities which no other university at my home country could offer: I have started working with Harm Goossens, making presentations for him and getting his professional advices tailored for me. The most popular topics in LDL platform are reverse mentoring, digital and leadership/business skills. These are aligned with the necessary skill set that future leaders should have. The program is in its second year, the project is now being scaled globally across Unilever as a best practice developed in Turkey. Unilever and BAU have the capability and intent to ensure the sustainability and development of the project, that it is scaled to a global audience. The University has enough student sources at different academic levels to scale the project. Unilever side is a reputable global company which already has remarkable human resources for the sustainability. Moreover the aim is to be pioneer in this area and spread it to more universities and businesses. This is a live platform which works with alumni logic so that it is highly possible to even the system feed itself and create a sustainable networking platform. Future objective of this project is to scale it within Unilever globally. Including different student groups, to increase shared knowledge, enlarging business and educational reach which leads to employment, a bridge between generations and empowerment of youth. The LDL platform can be positioned in various ways: Reverse mentoring for start-ups, NGOs, open talent economy platform etc. The core objective of Unilever and BAU is to widen this inspiring collaboration and reverse mentoring program to business life and other universities thereby creating employment for youth and contributing to address this important global issue. This is the vision of both parties which we see as our social responsibility to business and new generations. 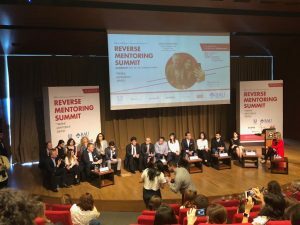 As a part of Reverse Mentoring program with Unilever; a Reverse Mentoring Summit was held at the Bahçeşehir University for the first time with the attendence of lots of companies. The mentor and mentee pairs took part on the stage and told about their experiences and the benefits that they gained from this program. After this summit some of the companies requested to be part of this Program. 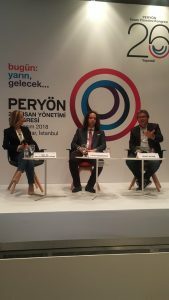 Bahçeşehir University Reverse Mentoring Program was at PERYÖN People Management Congress on Nov 2 2018. Doğuş Otomotiv program was shared with more than 300 HR professionals. Bahcesehir University Industrial Engineering 3rd grade student Kaan Özkorkmaz worked with the General Manager of Volkswagen at that time, as part of the Reverse Mentoring Project in March 2017-2018. In the following projects of Doğuş Otomotiv started in March 2018, 2 Bahcesehir University students started mentoring to General Director of Digital Transformation and Corporate Communication and to CFO positions. In the ‘Bilakis’ Reverse Mentoring program which is applied successfully by DenizBank and had 39 mentors graduate, Y generation members mentored to the DenizBank top board members within the scope of agenda topics that are determinated by mentee – 3 mentor coupling. In the second Bilakis period which started in 2017 and completed in 2018 9 BAU student took part as mentors. A very effective and intensive cooperation was taken place between Bahcesehir University and Ata Holding as a part of the CO-OP cooperation program. With the participation of 3 students, it was contributed to the project ‘Innovation in Human Resources’ with in the scope of the strategic cooperation which is maintained with ATA Holding. As a part of this study, 3 students worked as the Y generation team with the Holding Coordinator and the board Member. Four of our students have began reverse mentoring program in Penti and one of our student has began in Watsons with the director level or higher. Finally; BAU CO-OP Reverse Mentoring Program is an outstanding support for students and the core objective of BAU is to widen this inspiring collaboration and reverse mentoring program to business life and other universities thereby creating employment for youth contributing to address this important global issue. This is the vision we see as our social responsibility to business and new generations.